Did you know that in 2015, more people were killed because of taking selfies than by shark attacks? Selfie isn’t listed as an official cause of death yet & until February 2016, India managed to record more selfie-related deaths than any other country. This 20-year-old died while clicking a selfie atop Raesi Fort in Jammu in January. Just a few days apart, Ansari (18) slipped while taking a selfie at Bandra’s Bandstand that resulted in a fatal death. This young guy accidentally shot himself with his Father’s revolver again, while taking a selfie. Here are a few steps you could take before clicking a selfie to make sure you don’t injure yourself or anyone around you. Let your selfie be a safe selfie and not your last selfie. Understanding the surrounding that you are in and being cautious at all times is important. 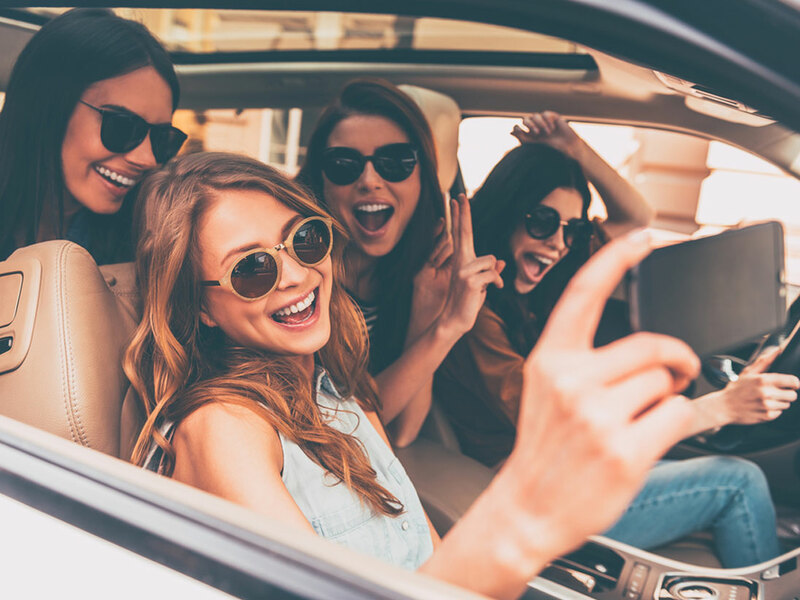 Taking a selfie at a hill-point, steep mountains or while doing some adventure sport can be distracting and may hurt you. You also don’t want to click a selfie while running a marathon and disturb other participants. You may slip off the railing of the rooftop where the view is spectacular and that will not only break your neck but might kill you too. No, really. These must stop. Not only are you messing with your social image but also getting trolled at. Whether you’re taking a selfie at the zoo or a safari, don’t forget you are torturing the animals for ‘likes’ when all they need is love. While in a museum, riding a bike or driving; avoid taking selfies. It may block the other person’s view and may cause an accident. Try to be aware of your surroundings with a sense of responsibility. If there are rules like “No photography” don’t violate them. It is for your own safety. This tool comes in handy while taking pictures at cliffs and edgy mountain tops so you don’t have to bend and take 5 steps forward. Better safe than sorry. This step will give you time to adjust yourself and be comfortable so you don’t have to try getting the perfect angle while taking your selfie. Your camera’s timer will keep you hassle free and maybe save your life. 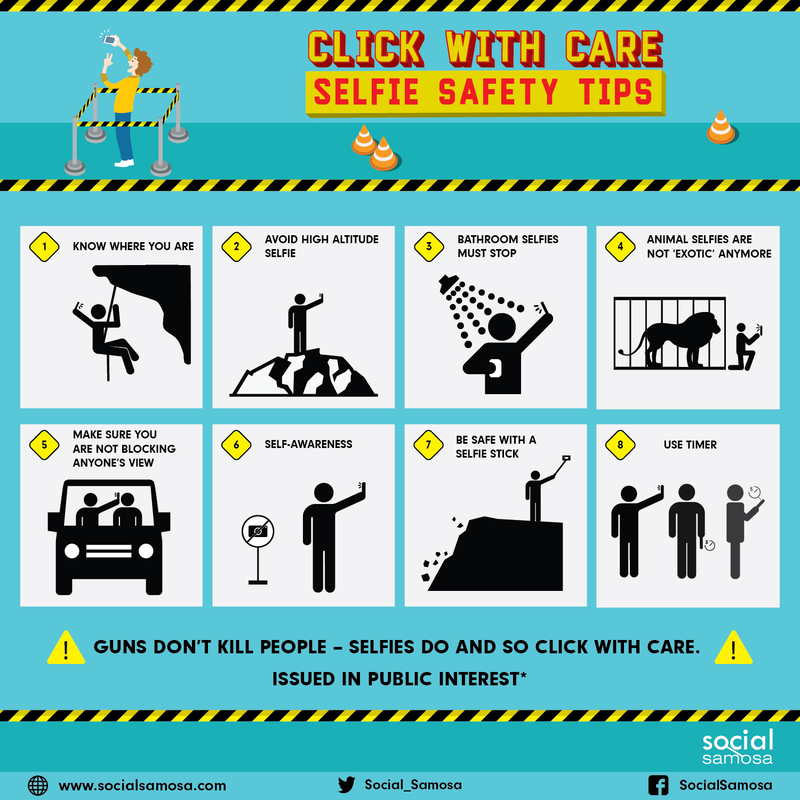 Apparently, guns don’t kill people – selfies do and so click with care. Die, gamed trends of Twitter… DIE!